You never really leave the classroom. There’s always a new lesson life has to teach you, if you’re willing to listen. So don’t spend so much time worrying about what to do. Instead, be concerned with who you are becoming and how you can become better at the things you really love. In reality, you're an apprentice at life. Your options are endless. Regardless of whether or not you’re continuing your education, you never truly stop learning. 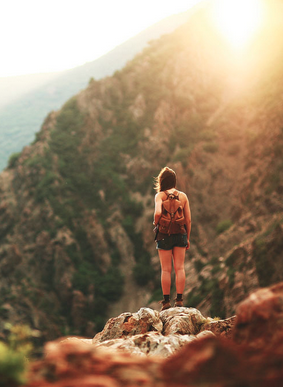 Since you're going to keep learning, why not travel to new places and become a student of the world? You'll meet so many new and interesting people. 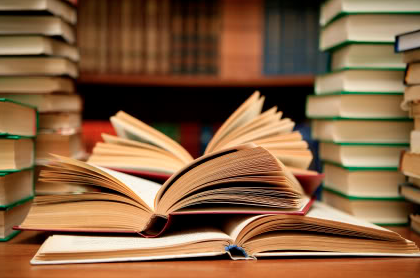 While you're at it, bring books outside of your comfort zone and read as many of them as you possibly can. Once you've spent some time 'apprenticing at life', take the lessons you've learned to the growth of your purpose. Notice I said purpose rather than job. One of the great illusions in our world today is the idea that there’s some perfect job out there, waiting for you. The truth is, there isn't a perfect job for you to find. Any job you find, is a series of tasks meant to fulfill someone else's dream. The work world is changing rapidly. Companies are getting smaller, not larger. Entrepreneurial endeavors are becoming the norm. If you are able to embrace this reality, you won’t have to settle for a position that doesn’t fulfill your potential. You can create position and the perfect job for yourself based on your skills, talents and passion. Don’t worry so much about doing... Be more concerned about who you are becoming. Continue growing and learning. Trust that what you’re meant to do will become clearer over time. Get practice by helping build someone else's dream: This will save you years of pain and accelerate your growth in ways you can’t imagine. And it will humble you. You can create the perfect job. The best way to do what you love is to build the perfect job for yourself. Start a small business, if even as a hobby, so you’re never completely on someone else to earn a living. Spend a good amount of time learning more about who you are and what you want to do with your life will become more clear over time. Continue to be patient and reflect on who you are and the person you are becoming. These practices will offer your soul the quiet time it needs to gain clarity in a world where distraction is normal an personal reflection is rare. Your graduation is a time to be excited and prepare for what's next. But remember that what's next is simply another step on an unpredictable journey. You have so much to be proud of and so much more to look forward to and we want to celebrate with you! Ontario Bakery specializes in the custom cakes and other goods that put the sweet finishing touch on your party! Call us today and place your order! Graduation is coming and you don't want to have any regrets! The end of the school year is a crazy time filled with busy schedules and graduation planning. But there are a few things we at Ontario Bakery think you should definitely do before graduating to make sure you remember it well! Take pictures of people who have made a difference in your college life. When you think back on your years at school, who mattered most? A certain professor or two? Several friends in particular? Maybe a mentor or administrator? Even if you're convinced that you'll stay in touch with these folks for years, take a picture anyway. You can laugh at how young everyone looked when you're old and gray and reminiscing about all the silly things you did in college. Try food you never did somewhere on campus. If you've never tried a certain kind of food on campus, gather your pride and dig in before you graduate. You'll get a good experience exposing yourself to something new and you just might end up with a new favorite food! Thank the people who helped pay your way. If anyone including scholarships, your parents, or others helped pay your way through school, make sure to let them know how much you appreciate their support. One suggestion: Include a picture of you in your cap and gown on graduation day in a simple but heartfelt thank-you note. Chances are one professor in particular stands out for the influence he or she had on you during your time in school. Tell them "thanks" before you leave. You can thank them in person, write an email, or even leave a small thank-you note (and gift?) for them on graduation day. Take a picture of yourself and your room. It may seem silly now, but won't it be fun to look back at how you looked and what your room/home looked like 5, 10, 20 years from now? Don't let something so special become something easily forgotten! Be proud of where you are and make those memories last! 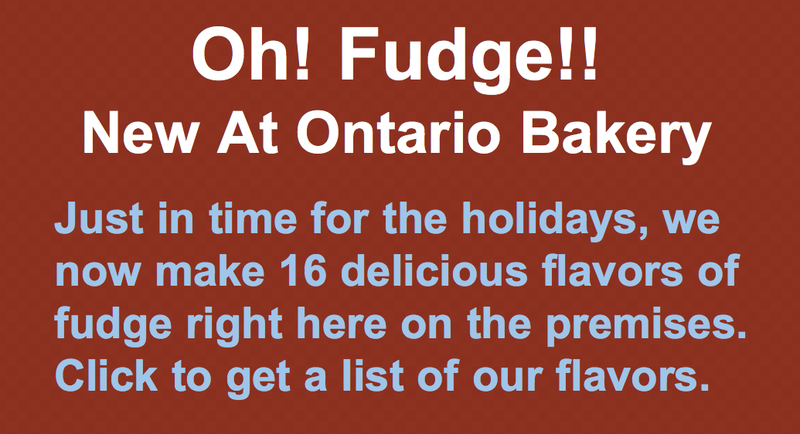 Ontario Bakery is here to provide the food! Contact us for custom, cakes, cookies and more! At the end of every journey is the start of a new one. Graduation marks the end of a dedicated time of learning and growing but will not end at the toss of your cap. Life's about to welcome you into another great adventure and at Ontario Bakery, we've learned that there some basic things you must know, if you're going to not only survive, but thrive in the next chapter. Many people say that you are the average of the top 5 people you hang out with most. Surround yourself with people who will laugh with you, dream with you and hold your hand through the scary parts. Be sure your friends have goals, life intentions, integrity and honor. What's important to you in life? Be around those people who want and are creating the same. You're never as stuck as you think you are. If you feel stuck, that's ok and normal. Sometimes that's life calling you to something greater. And sometimes things aren't as bleak as they seem and you just need to have a little fun or change of scenery! Change your hair color, take on a new hobby, change your home, your job... whatever. No matter where you are, you can always change it up. And if the change needs to happen within you - notice that. Because that will follow you everywhere and won't leave you alone until you do! Have a list of what helps you relax and release the stress. Even the best life has a certain level of pressure. Find a productive, healthy outlet for stress. Run. Write. Take up knitting. Dance. Just make sure it feels good and IS good for you. Taste adventure and try things that scare you. Go rock climbing. Go to karayoke. Read a book on quantum energy. Do things that challenge your limits and you'll expand! Don't get into habits of complaining. Practice the art of positive action. Life may get hard, but there's always a solution. Instead of focusing on the negative pain, what are some positive actions you can take to change the course of the problem into something that works for you? There are always solutions. Graduation is coming up and it's a time to celebrate how far you have come. Of course, we at Ontario Bakery would love to contribute in our own special way, to your wonderful day, with our delicious custom baked goodies. Call us today to place your order! The world is waiting for you. Life is ready to be lived so live it well. As graduation approaches, it's important to reflect on possibility. Will you be great? How do you plan to step into your greatness? While we are simply a bakery, we are a thriving bakery that loves what we do. We've succeeded at our dreams and want the same for you? 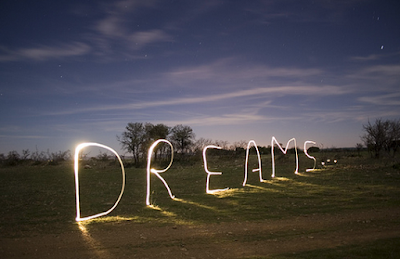 What are your dreams? What do you want to make or become? It's all possible. Many people go through the motions of school, then college, then job, family etc... only to feel frustrated that their life is simply taking on the cycle of so many around and before them. But why? Haven't you done all that you have been told to do? I'm sure you have. But therein lies the problem. When you only simply follow the pattern and do what's normal, then what's normal is what you will get. If you want to graduate into greatness and live a life you're proud of, you'll have to be part of the 5% that actually do it. (95% of people want the same thing, but don't make the small consistent changes needed to get where they want to go or be what they want to be). We've learned a few secrets on the road to success in life and are honored to pass them on to you today. This year, go from graduation into greatness. 1. Know what you love. If you don't know what you love, then commit at least 5 hours per week to simply having healthy fun and get to know what it is that lights your fire. If you do know what you love, take those same 5 hours and commit to doing it more and doing it better. This is, perhaps the most important step. The best success in life comes from being passionate about what we do. If you love to run, by all means, run. You may be the next CEO for a fortune 500 athletic company and change the health and lives of people all over the globe. 2. Be consistent in the small steps. Study what the successful people do - not just the big things, but the small habits. Some may be writing 3 points of gratitude each morning, waking up at 6am, turning off work by 4pm, or 30 minutes of fitness. Look at what not only brings success to your heroes but also joy. Then consider what could be plugged in to your life. Do it every single day. Like compounded interest, you may not see the results immediately, but give it a few weeks, months, years... and be amazed at the reward of consistency in your steps. 3. Gratitude. Always be thankful for where you have been - each blessing and challenge. They have made you who you are and should inspire your next step. Use the past to motivate you toward bigger and better. When life is hard, stop and be thankful for the small things, for the people, for never ending opportunity and for the forgiveness of failure. Next point. 4. You will fail. That's part of the process. Will you quit or learn? One thing you'll learn from failure is to forgive it and let it go. It's ok. The failure doesn't define you, but rather how you learn from it and what you do with it. All in all, your greatness is in you but it needs to be nurtured. It's not something to step into as if it's 'out there somewhere', but it's for you to embrace, feed and enjoy. It's in your hands. You've gotten this far and you have a lot to be proud of. No matter where life takes you next, we want to be there for you. Please give us at Ontario Bakery a call and order your custom cake today. 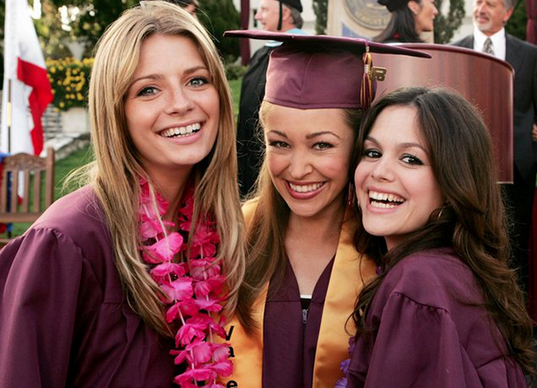 Special Graduation Beauty Tips for Moms and Daughters! 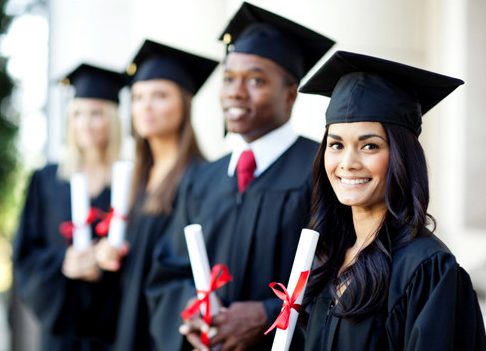 These graduation tips are for the mothers and daughters! So many of the tips and topics about graduation revolve around party planning and gift giving, but today we need to address something of equal importance. Graduation beauty tips. This is a big day for you and those supporting you, and it will be photo documented. That being said, we know you want to look good in those pictures, because they are forever. At Ontario Bakery, we love to support you and your family in these wonderful times of celebration. So as you enter into graduation season and preparation, enjoy these easy and helpful graduation day beauty tips. Be sure to wear shoes you can comfortably walk in. Break into new shoes a few days before the ceremony. You don't want to be remembered as the person who fell on their face on stage! Bring hair serum in a small container to tame fly aways after you take off your cap. If you're going to be outside, don't forget the SPF on all skin exposed areas, including your ears and neck! If the ceremony is outside, stray away from sticky lip glosses. One gust of wind can send your hair and tassel sticking to your lips. Bring sunglasses if the ceremony is outdoors and sunny. Blotting papers will help get rid oil and sweat spots on your face, so give your face a quick pat with one before taking photos without messing up your makeup. Keep straws in your purse to stay hydrated without messing up your lipstick! Choose a hair style that will look great with and without your graduation cap on. You don't want flat hair at the end of the day! A few other tips we'd like to share, are to make sure you bring your camera or smart phone fully charged and with a back up charger. Don't get stuck not being able to capture the moment! Choose great treats! 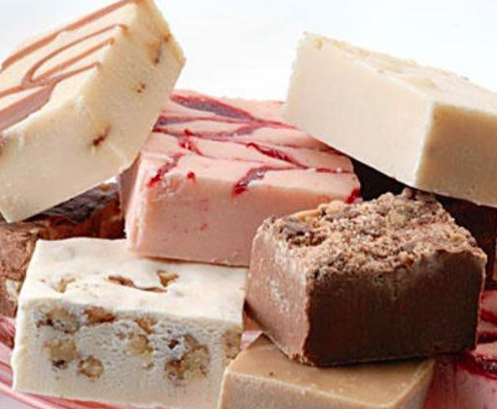 At Ontario Bakery, we know how good sweets compliment celebrations. Make sure you have just the right one for your special day by coming into our shop and talking with one of our cake stylist. Your day deserves a customized delight. Lastly, enjoy it! These memories are forever. You'll look great and be so proud! Ok. So graduation is upon you and everyone is asking, "Now what?" Whether or not you know the answer to that question, is not really the point. The bigger questions are "Who and how?" Who are you and how do you put your talents, gifts and inspiration into practice? All of us, at Ontario Bakery, have had to ask ourselves those questions and have become better people as a result of it. We've learned that highly successful people know how to hone in on their passions and purpose and dedicate themselves to the furthering of them. They don't have to be geniuses, they just know and understand that the key ingredient all success is dedication. Be consistent with the little things and use your time wisely. With those two things in mind, we were able to put together a simple list of habits of highly successful people for any college student ready to graduate into their purpose. Don't be afraid of constructive criticism. Some of the most brilliant ideas were born from people on a team challenging each other's ideas and strategies. Richard Branson always has one or two key people in his businesses that are there to creatively shake things up. Ask your friends, family and colleagues if and how they see you limiting yourself. Be open and receptive. They may not be right, but it's always worth the reflection and possibly challenge. Did you know Michaelangelo was abused by his father whenever he was found painting - because his father wanted him to become a textile merchant? Unfortunately, it's far too common for the world's expectations to crush our deepest passions and longings. You don't need to be irresponsible, but please don't neglect your bliss. The most successful people in life, both in job and joy - are ones who work with what they love. It becomes play, and that's beautiful! You know that little feeling in your stomach, or that little voice in the back of your mind? That's your heart talking to you. All too often, we silence that voice, for the sake of pleasing the masses (or even our family). Pay attention to those little things that set you apart and let them show you who you could really be and what you could do, if you trusted that little voice. 4. Always work your skills. Even prodigies practice their craft. As a child, Mozart played piano for hours everyday. Jimi Hendrix wore his guitar all the time, no matter what he was doing - knowing that he may get a few minutes here and there to practice. Bringing it back to point 2 though, when you're working with your passion, practice is simply play. Hone in on your natural giftings and take them even farther. You might be surprised at where they take you. 5. Get back on the horse. If you fall down, get back up. There will be hard times. You might loose it all and it might hurt a whole lot. Get back up. Learn. 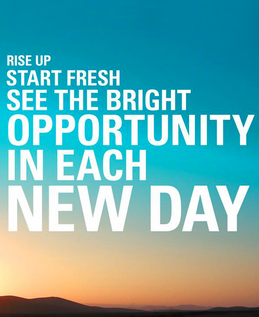 Look back and find the little things you could have done differently and start doing them today. You don't gain a bunch of weight over night, and you don't loose it that way. Both happen by making small choices consistently. See where you went off track, take note of it and plan accordingly. Don't let set backs hold you back. Then them fuel your come back. 6. Take care of yourself. People who are obsessed with the outcome tend to forget about the present moment. In this moment, you are a human being with needs as well as goals. Tend to the needs and the goals will be met with more ease. Feed yourself healthy food, get enough sleep, exercise and take time for friends and laughter. If you feel you hit a wall, get outside for fresh air and fresh perspective. It always helps. Risks are always going to be there. Either you'll win or loose. But the bigger loss is in never knowing if you would have won. If you loose, you still gain the lessons that get you closer to winning next time around. Life is full of adventure and innovation simply waiting for you. Don't be afraid of what you do know. Embrace what you do know and go the distance with it, always learning more and enjoying the ride. Ontario Bakery is proud to walk with you every step of the way. We have been there for your from your first birthday to now and hopefully for years to come. 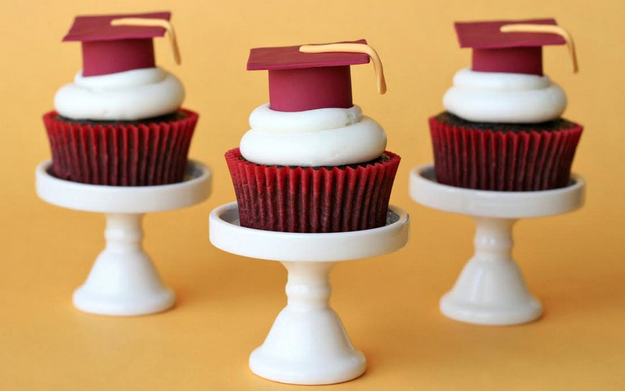 We would be honored to celebrate this graduation with you in the ways we know best- with custom cakes and other sweets all in your honor. It's how we follow our passion. 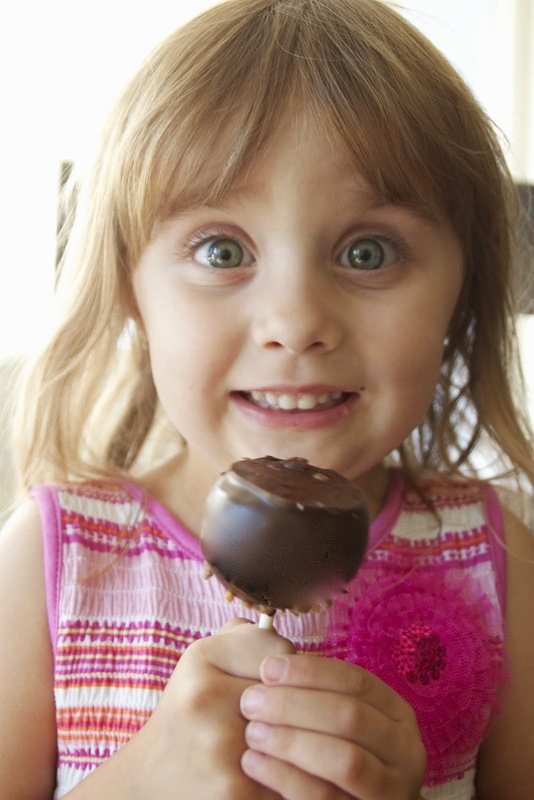 Have You Tried Our Cake Pops? Wedding Cakes FAQ - Are There Rental Items That Need to Be Returned? Ontario Bakery Sample Tastings for Wedding Cakes and Other Pastries, Too. Beautiful Wedding Cakes at Ontario Bakery! Ontario Bakery's Wedding Cakes, Birthday Cakes are As Delicious as They Are Delightful. Easy Tips for Planning a Retirement Party from the Bakery that Knows Best! Make the Best of Strawberry Season With These Unique and Delicious New Recipe Ideas! Avoid Common Spring Wedding Planning Chaos with These Blissful Tips! 5 Games to Play with Your Preschooler that Are Fun and Better Their Motor Skills! Is It A Boy Or Girl?